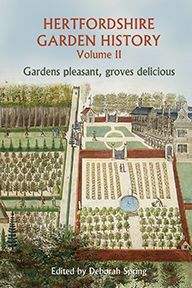 This second volume of Hertfordshire garden history considers how Hertfordshire's historic parks and gardens – some still existing, many others lost – have been influenced by, and reflect, the social and economic history of their time. Hertfordshire's proximity to London swiftly made the county into a place for both the display of success and respite from its demands. 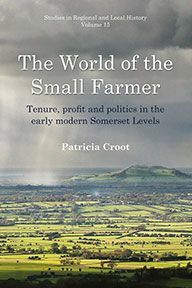 Beginning with the hunting parks and Renaissance gardens of the Bacons, Cecils and Capels in the sixteenth and seventeenth centuries and their gradual replacement by designed landscapes, the book shows how in Hertfordshire individuals have long sought greater space and comfort within easy reach of the capital. The theme continues through to successful Georgian, Victorian and Edwardian entrepreneurs and professionals seeking an idealised country existence while travelling daily to the City, culminating in the tree-lined legacy of the early garden cities. Lancelot 'Capability' Brown played a role in shaping the Hertfordshire landscape whilst in the nineteenth century industrial development made an impact. The Arts and Crafts movement brought contributions from famous designers Lutyens and Jekyll at Knebworth, and Mawson at Berkhamsted and Bushey. 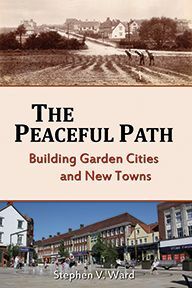 In parallel, services developed to supply the demand for elaborate gardens and the book also examines the role of plant nurseries, estate gardeners, and the Lea Valley glasshouses during the two world wars and beyond. Throughout the book, examples are drawn from both well known and less visible or vanished Hertfordshire gardens of the past 500 years. 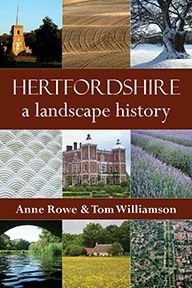 This volume draws on new research by members of the Hertfordshire Gardens Trust, whose director of research is Tom Williamson, Professor of Landscape History at the University of East Anglia.